Do you want to learn more about how STEP serves our young military and how you can help? 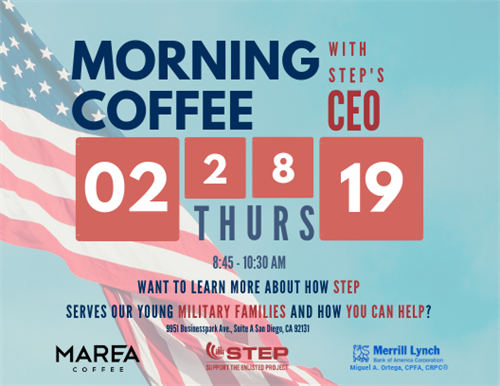 Join STEP's CEO & Co-Founder Tony Teravainen for a morning of Marea Coffee, pastries, and genuine discussion. Morning Coffee takes place EVERY second to last Thursday of the month. It is a free opportunity to network and engage. We welcome all community members to question, collaborate, and learn.